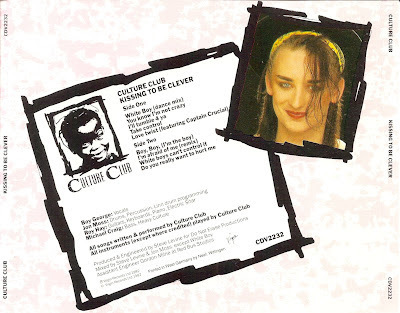 Culture Club are a British rock band who were part of the 1980s New Romantic movement. The original band consisted of Boy George (lead vocals), Mikey Craig (bass guitar), Roy Hay (guitar and keyboards) and Jon Moss (drums and percussion). Kissing to Be Clever is the debut album by new wave soul band Culture Club, released in 1982.